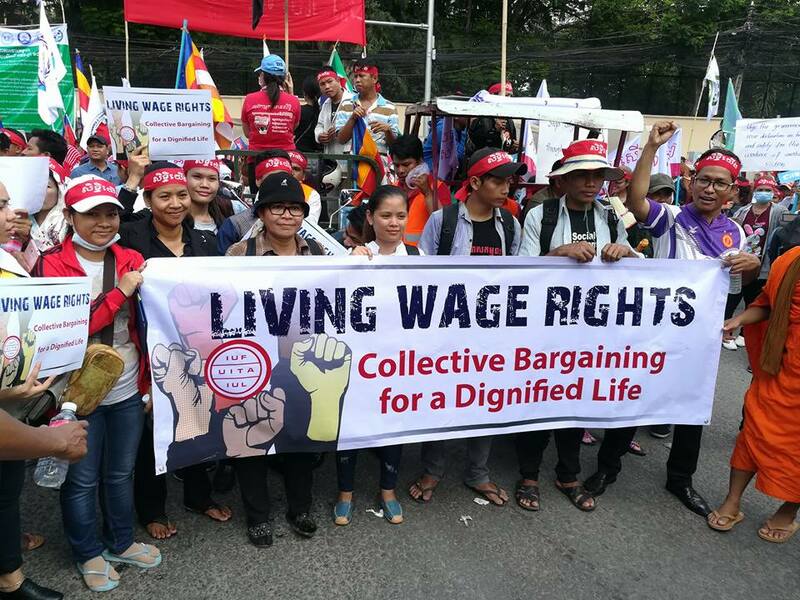 From Cambodia to Zimbabwe, in Serbia and Honduras, hundred of thousands of workers and their families are celebrating International Workers Day, honoring the dignity of work and the accomplishments of the labor movement in defending human rights, job stability, fair wages and safe workplaces. Together, workers and their unions are demonstrating their commitment to sustaining and improving worker lives.  Here is a roundup of May Day events by Solidarity Center allies around the globe. 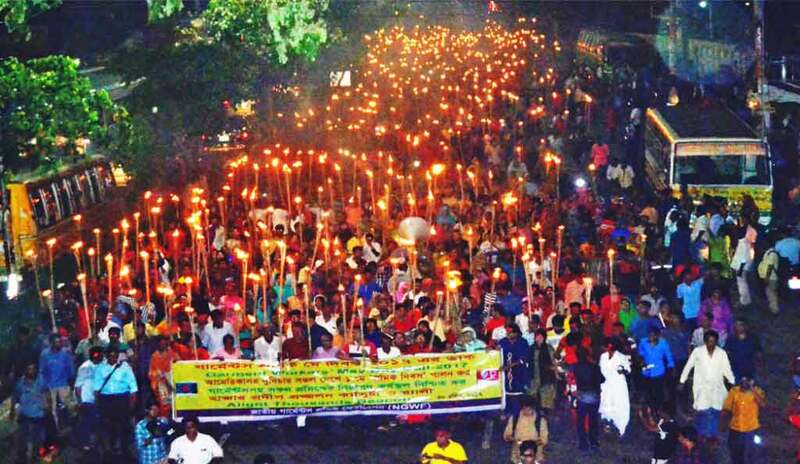 Bangladeshi garment workers lit torches and marched peacefully on the eve of May Day, illuminating the night and workers’ spirits. 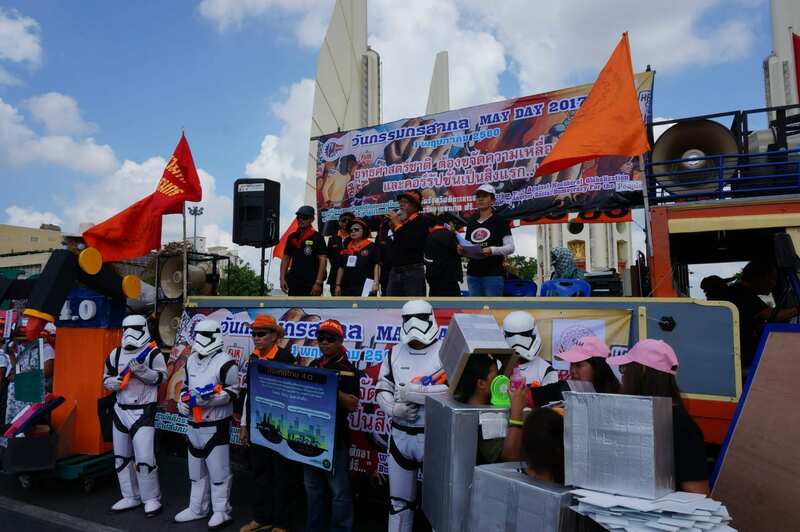 Some 3,000 workers from unions across Cambodia celebrated May Day with a march to the National Assembly, where they submitted a petition demanding construction workers be included under minimum wage and national guidelines for workplace safety. Police and barricades lined the route, and workers initially were ordered to disperse. 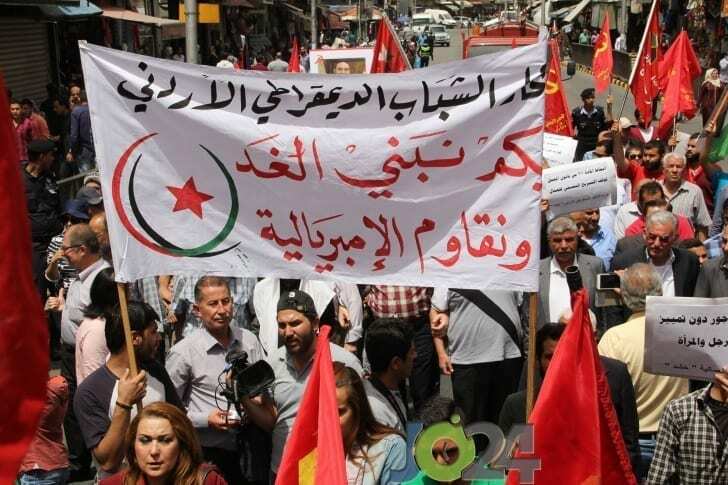 Ultimately, the crowd was allowed to march to the National Assembly, where a member of parliament accepted their petition and addressed the crowd. 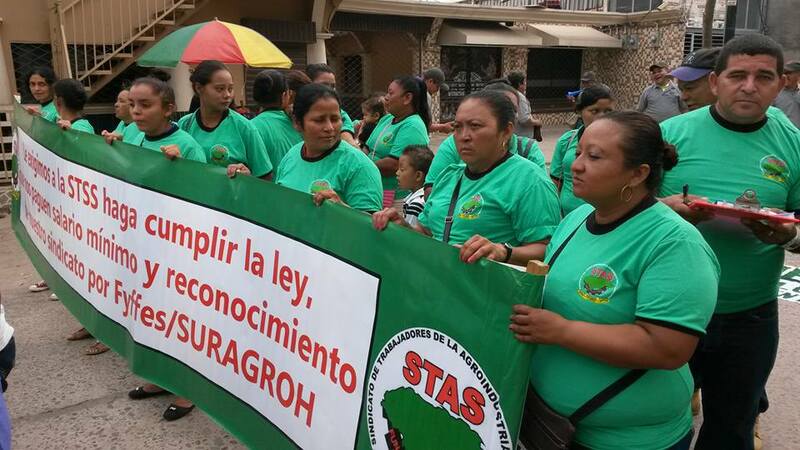 Members of the Honduran agricultural federation FESTAGRO rallied for fair economic policies to enable workers to earn family-supporting wages, and an end to violence against union leaders and members. 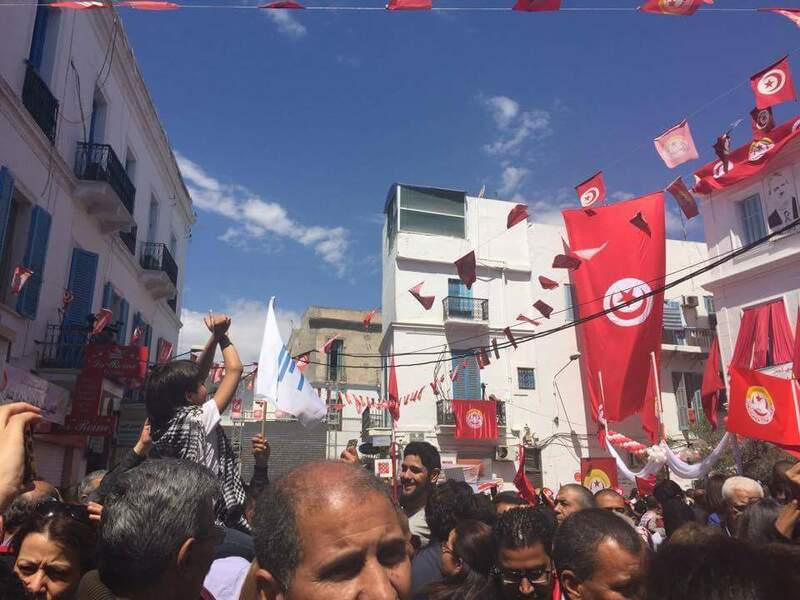 In Tunisia, workers rallied at the country’s union federation, Union Générale Tunisienne du Travail (UGTT), and marched down Avenue Bourguiba after UGTT General Secretary Noureddine Taboubi highlighted improvements for workers achieved through their unions. 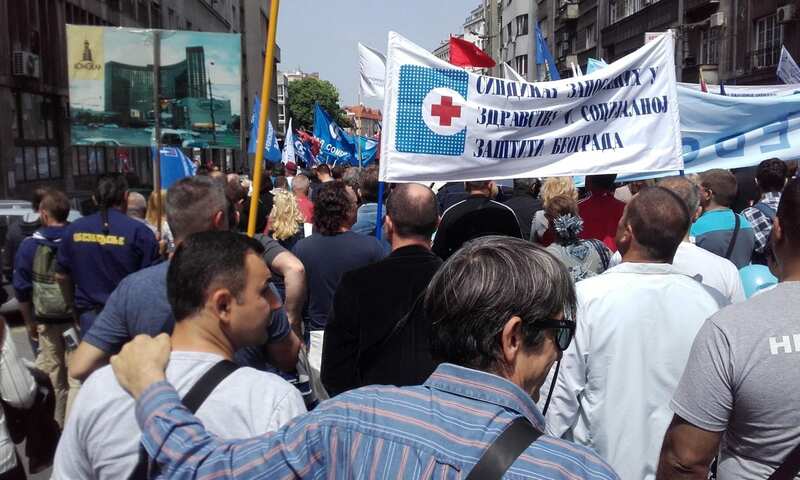 In Serbia, some 3,000 workers took part in a May Day rally and march sponsored by the Confederation of Autonomous Trade Unions of Serbia and the United Trade Union Nezavisnost. Workers emphasized the need for economic reform to create good jobs, a secure retirement and improved employment prospects for young people to encourage them to stay in Serbia. Thai workers marched nearly a mile from the Democracy Monument to the United Nations Building to demand the Thai government expand human and worker rights for all, including the country’s millions of marginalized workers struggling to support their families in the informal economy as pedicab drivers, market vendors and in other precarious work. Across Zimbabwe, workers took part in May Day events to celebrate improvements at the workplace won through their unions. 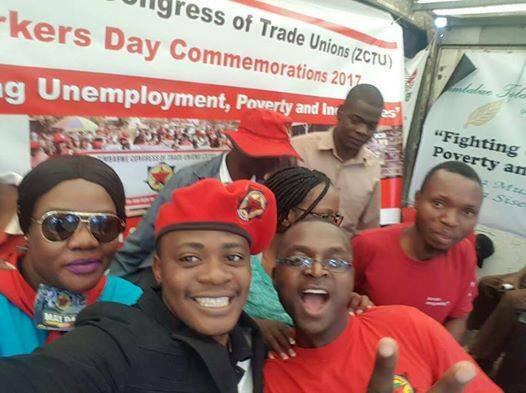 The Zimbabwe Congress of Trade Unions has led efforts to end unemployment, inhumane working conditions and wage theft. 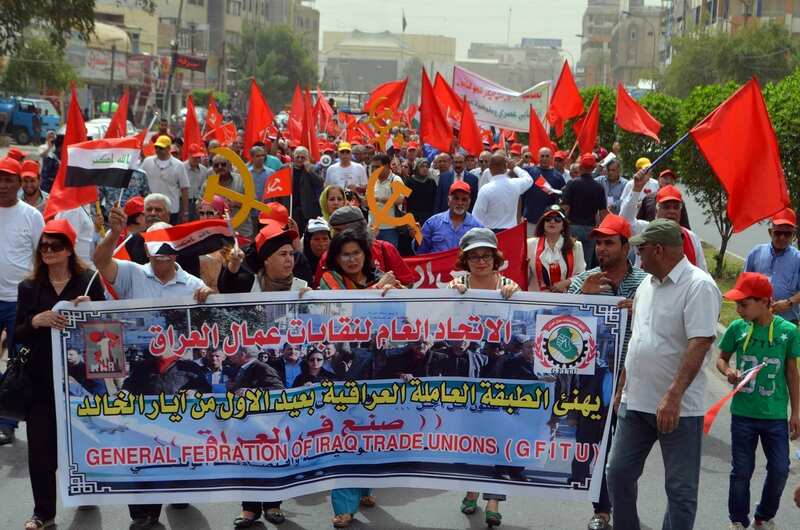 Workers in Jordan rallied and marched, calling for changes to the country’s labor law to protect worker rights, union freedom to organize and dignity on the job, and to provide social protections for all Jordanians. 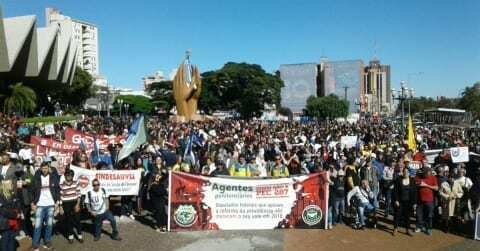 In Brazil, below, workers also got an early start May 1 commemorations with a massive, 24-hour general strike Friday to protest legislation that would weaken labor regulations and force many Brazilians to work years longer before drawing a pension. 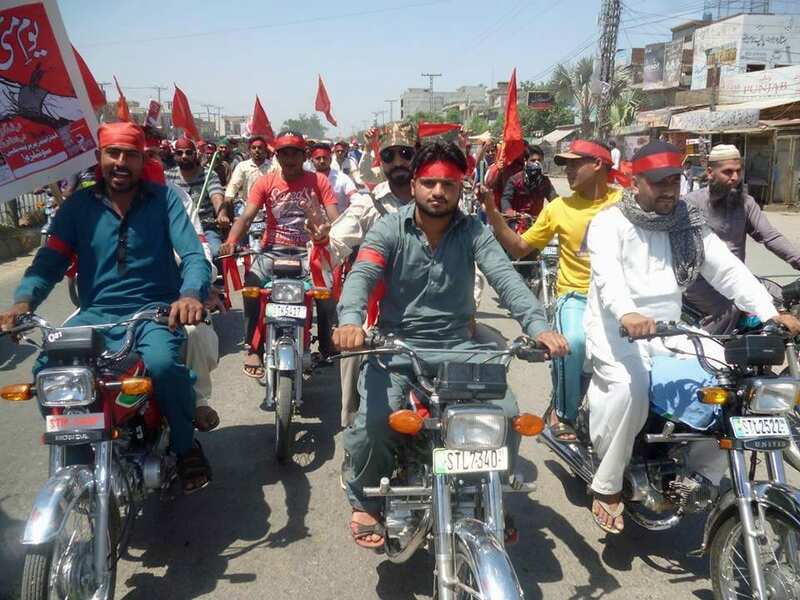 Members of the Pakistan Workers Federation (PWF) rallied in Islamabad, Lahore and other cities across the country to mark May Day. The PWF represents more then 880,000 workers nationwide.